Wonderful story. The police are getting a bad rap because of a few renegades. Overall, they are caring heroes who do “protect and serve” and put their lives on the line every day for us. 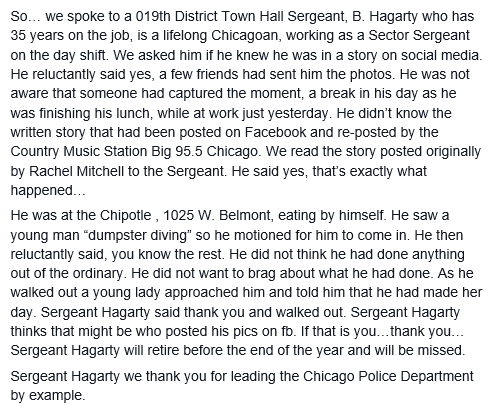 The power of social media that accentuates our human nature and in turn balances our human stories. 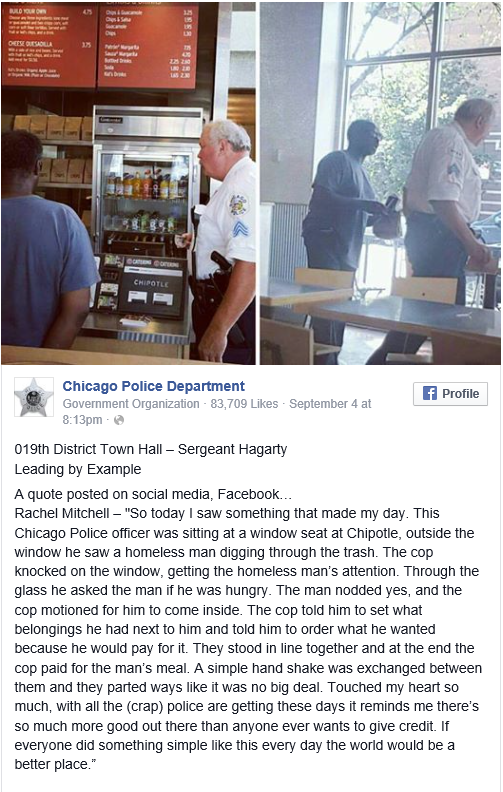 This is an example of the police who, much more than not, live by their creed “to serve and protect.” Although today’s press has 24/7 access to the public, it would still rather publicize the exceptions and not the rule; which good police work.